Research in the Sinha group focuses on understanding host defenses against pathogens, the cross-regulation of these defenses and the evasion of these defenses by pathogens in atomic detail. Our goal is to obtain a detailed yet comprehensive picture of host-pathogen interactions, to facilitate the rational development of therapeutics. Our immediate focus is the mechanism of two such pathways: Autophagy and cytoplasmic receptor-triggered innate immune pathways; as well as the inhibition of these pathways by viruses. While the X-ray crystal structure determination of proteins and protein complexes is the center of our research focus, we use a broad range of techniques including mutagenesis, biochemical and spectroscopic assays, and cell-based methods to supplement and confirm the knowledge we obtain from our structural analyses. Mei, Y.#, Glover, K.#, Su, M. & Sinha, S.C.* Conformational flexibility of BECN1: essential to its key role in autophagy and beyond. Protein Science, In Press, doi: 10.1002/pro.2984. #These authors contributed equally to this manuscript. (2016). Mei, Y., Su, M., Sanishvili, R., Chakravarthy, S., Colbert, C.L. & Sinha, S.C.* (2016). Identification of BECN1 and ATG14 coiled-coil interface residues important for starvation-induced autophagy. Biochemistry In Press, doi: 10.1021/acs.biochem.6b00246. PMID: 27383850. (2016). Glover, K., Mei, Y. & Sinha, S.C.* Identifying Intrinsically Disordered Protein Regions Likely to Undergo Binding-Induced Helical Transitions. Biochimica et Biophysica Acta - Proteins and Proteomics 1864, 1455-1463. PMID: 27179590. (2016). Mei, Y., Ramanathan, A., Glover, K., Stanley, C., Sanishvili, R., Chakravarthy, S., Yang, Z., Colbert, C.L. & Sinha, S.C.* (2016). Conformational Flexibility Enables Function of a BECN1 Region Essential for Starvation-Mediated Autophagy. Biochemistry 55, 1945–1958. PMID: 26937551. (2016). Klionsky, D.J., et. al. Guidelines for the use and interpretation of assays for monitoring autophagy (3rd edition). Autophagy 12, 1-222 (2016). Jensen, J.L., Balbo, A., Neau, D.B., Chakravarthy, S., Zhao, H., Sinha, S.C. & Colbert, C.L. Mechanistic implications of the unique structural features and dimerization of the cytoplasmic domain of the Pseudomonas sigma regulator, PupR. Biochemistry 54, 5867−5877 (2015). Wei, Y., An, Z., Zou, Z., Sumpter, R., Su, M., Zang, X., Sinha, S., Gaestel, M. & Levine, B. The stress-responsive kinases MAPKAPK2/MAPKAPK3 activate starvation-induced autophagy through Beclin 1 phosphorylation. LID - 10.7554/eLife.05289 [doi]. eLife 4(2015). Su, M., Mei, Y., Sanishvili, R., Levine, B., Colbert, C.L. & Sinha, S. Targeting γ-herpesvirus 68 Bcl-2–mediated down-regulation of autophagy. Journal of Biological Chemistry 289, 8029-8050 (2014). Mei, Y., Su, M., Soni, G., Salem, S., Colbert, C. & Sinha, S. Intrinsically disordered regions in autophagy proteins. PROTEINS: Structure, Function and Bioinformatics 82, 565–578 (2014). Sinha, S. & Levine, B.(2009). The autophagy effector Beclin 1: A novel BH3-only protein. Oncogene 27, S137-S148. Sinha, S., Colbert, C.L., Becker, N., Wei, Y. & Levine, B.(2008). Molecular basis of the regulation of Beclin 1-dependent autophagy by the γ-herpesvirus 68 Bcl-2 homolog M11. 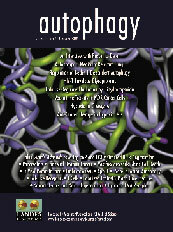 Autophagy 4, 989-997. Wei, Y., Sinha, S. & Levine, B.(2008). Dual role of JNK1-mediated phosphorylation of Bcl-2 in autophagy and apoptosis regulation. Autophagy 4, 949-951. Levine, B., Sinha, S. & Kroemer, G.(2008). Bcl-2 family members: dual regulators of apoptosis and autophagy. Autophagy 4, 600-606. Wei, Y., Pattingre, S., Sinha, S., Bassik, M. & Levine, B.(2008). JNK-mediated phosphorylation of Bcl-2 regulates starvation-induced autophagy. Mol. Cell. 30, 678-688. Saito, T., Hirai, R., Loo, Y.-M., Owen, D., Johnson, C.L., Sinha, S.C., Akira, S., Fujita, T. & Gale, M., Jr.(2007). Regulation of innate antiviral defenses through a shared repressor domain in RIG-I and LGP2. Proc. Natl. Acad. Sci., USA. 104, 582-587. Sinha, S.C. & Sprang, S.R.(2006). Structures, mechanism, regulation and evolution of Class III nucleotidyl cyclases. Rev. Physiol. Biochem. Pharmacol. 157, 105-140. Sinha, S.C., Wetterer, M., Sprang, S.R., Schultz, J.E. & Linder, J.U.(2005). Origin of asymmetry in adenylyl cyclases: structures of Mycobacterium tuberculosis Rv1900c. EMBO J. 24, 663-673. Sinha, S.C., Chaudhari, B.N., Burgner, J.W., Yakovleva, G., Davisson, V.J. & Smith, J.L.(2004). Crystal Structure of Imidazole Glycerol Phosphate Dehydratase: Duplication of an unusual fold. J. Biol. Chem. 279, 15491-15498. Sinha, S.C., Krahn, J.M., Shin, B.S., Tomchick, D.R., Zalkin, H. & Smith, J.L.(2003). The Purine Repressor of Bacillus subtilis: A novel combination of domains adapted for transcription regulation. J. Bacteriol. 185, 4087-4098. Sinha, S.C. & Smith, J.L.(2001). The PRT protein family. Curr. Opin. Struct. Biol. 11, 733-739. YabJ, a purine regulatory protein and member of the highly conserved YjgF family. Proc. Natl. Acad. Sci., USA. 96, 13074-13079. Krahn, J.M., Sinha, S. & Smith, J.L.(1999). Successes and prospects for SeMet MAD and large structures. Trans. Am. Crystallogr. Assoc. 34, 27-38. Yakovleva, G.M., Hawkes, T.R., Sinha, S., Smith, J.L. & Davisson, V.J. Metal ion assembly of imidazole glycerol phosphate dehydratase (HIS3) from cryptoccocvs neoformans and saccharomyces cerevisiae. FASEB J. 11, A1302 (1997).